Florence Aleta Laub, daughter of William Laub and Emma Elvessie McFarland, was born Jan. 5, 1895 in Buchanan Twp., Page Co., Iowa and died Nov. 14, 1981 in Des Moines, Polk Co., Iowa. She married Ivo Guthrie Randels Sept. 25, 1923. 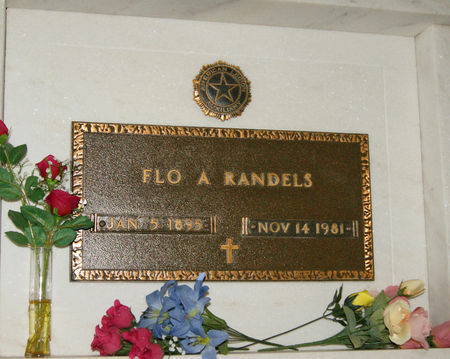 LAUB RANDELS, Florence Aleta "Flo"
Searching for FLORENCE ALETA "FLO" RANDELS in Taylor County Iowa?